The go-to resource for planning unforgettable travel experiences. Find all you need to know about the top destinations and enrich your life through travel. It simply wouldn’t be Christmas in Europe without checking out at least one Christmas Market. Opening during the weeks leading up to the Advent, winter markets are filled with colorful stalls offering everything from Christmas ornaments to food and anything you can think of! And while Europe is not exactly a big continent, it has an abundance of exciting Christmas markets perfect for some holiday quality time. The question then becomes; where should you go and why? Fortunately for you, we’ve done the legwork and have handpicked some of the best European Christmas Markets for you and your family to visit this holiday season. Grab yourself a piping hot of cocoa and let’s go! Pack those mittens and layers if you’re planning to Prague, in the Czech Republic. The weather can be quite cold, and it may even snow! If you are looking for traditional products, Christmas ornaments, cookies, wooden toys, scented candles, and many other handmade products, then you’ll have a lot of fun browsing the stalls. 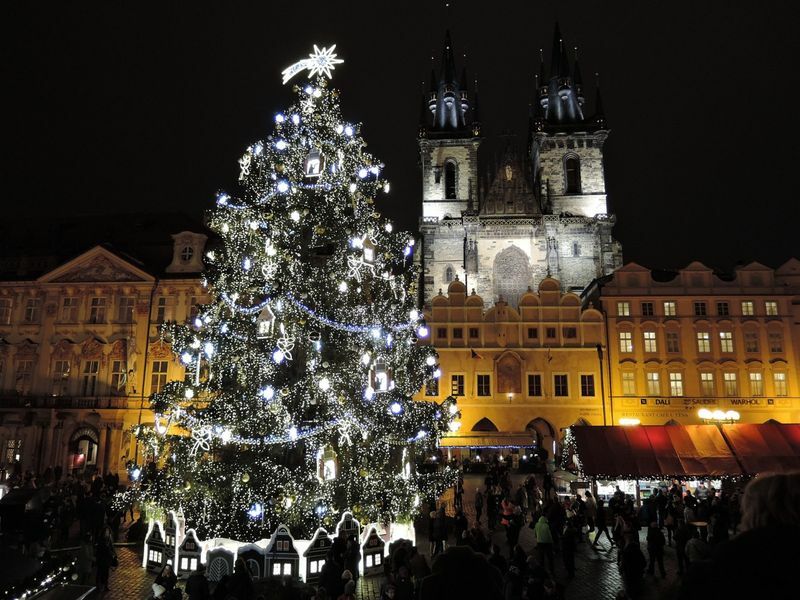 There are five Christmas Markets taking place in Prague, with the most popular being in the Old Town Square (Staroměstské náměstí). It is the prettiest but also the busiest. The immense Christmas tree dominates the square and the market. Concerts and plays take place on the stage. The market is open on Christmas Eve, Christmas Day, and New Year’s Day. The temperature may vary dramatically so you could expect sunny, bright days with relatively warm temperatures, as well as days when the temperatures plummet below freezing. Head to the land of the chimney cake (kürtőskalács) this December. Budapest, Hungary’s capital, has become one of the best places to travel to in December. The festive markets fill with the smell of the delicious sugar and cinnamon coated dough. Sniff some more and your senses will go crazy: mulled wine, cabbage rolls, goulash, roasted chestnuts and a plethora of traditional Hungarian food. Of course, the handmade products are also present, whether you want to get Christmas ornaments, mittens, hats, soaps, or decorations. 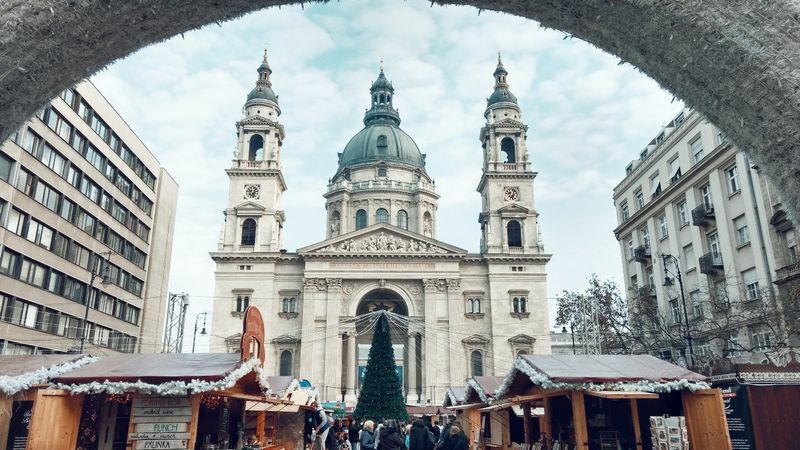 There are quite a lot of Christmas markets open but two of them are interesting: The Christmas Market at Vörösmarty Square and The Christmas Fair at St. Stephen’s Basilica. The one in Vörösmarty Square is the most popular and busiest. It comprises around 100 stalls. There are various concerts taking place in the center. The market at the Basilica also comes with an ice rink and a spectacular light show taking place each evening. Budapest is known to have cold mornings and evenings. So, pack those layers. Nevertheless, there may be sunny days which offer a rather warm weather. Christmas Markets originated in what is now Germany and Dresden may have the strongest claims to the first genuine Christmas market. It dates to 1434 and is still one of the most authentic in Germany. If you will be in the country or traveling to Germany this holiday season, it cannot get more traditional than Dresden being the place where the Dresdner Stollen (Dresden Christmas Cake) originated. Of course, you can also find various handmade products such as incense burners, decorative nutcracker figures, Christmas- candle pyramids and many more. The 250 stalls spread in the large Altmarkt square. Afternoons can be very cold, but snow is not very common. It is also cloudy most of the day. Vienna also has a very long tradition of organizing Christmas Markets. The forerunners of today’s markets date back to the Middle Ages. Vienna’s markets…smell like Christmas. No matter where your head turns, you’ll smell cinnamon, mulled wine, punch, cakes, and scented candles. 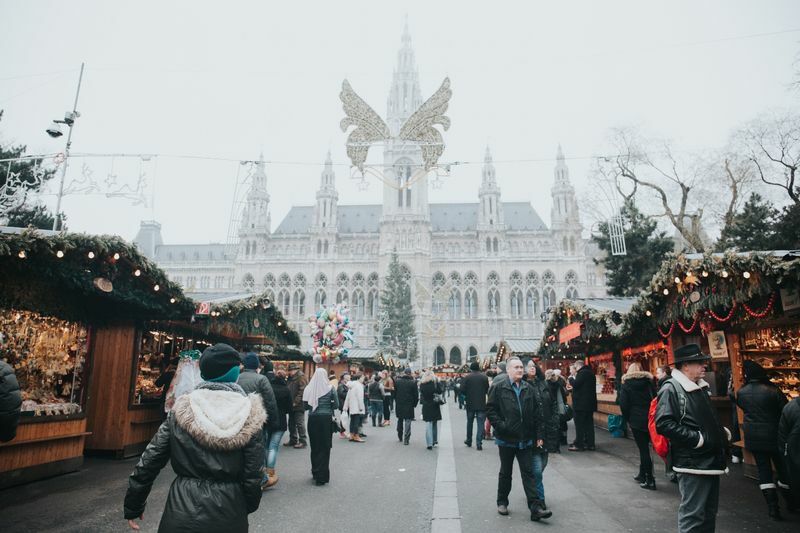 There are over 20 official Christmas markets taking place in Vienna but two of them will capture your attention: the Viennese Dream Christmas Market in front of the City Hall and the Christmas and New Year's Market at Schönbrunn Palace. The one in front of the Town Hall is the most popular and busiest but also ideal if you travel with children as there’s an area dedicated to them. The one at Schönbrunn and smaller and better suited for couples who prefer a less agitated market. The temperature hovers around freezing but December is one of the wettest months so expect snow. 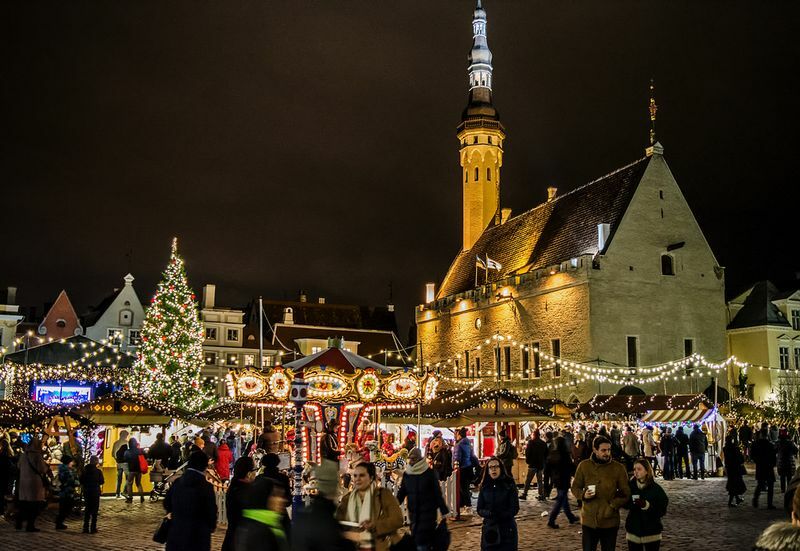 Estonia celebrates Christmas on January 7, which makes Tallinn the best place to celebrate a “late” Christmas. The Christmas tree in the center of the market is surrounded by stalls selling Christmas delicacies and folk craft products. Fancy some blood sausage? You can find it here! Of course, the gingerbread and the mulled wine are present, alongside many other Estonian delicacies. On Fridays and Saturdays, the stage is home to various performances, including folk music and dancing. It’s cold and at night the temperature will dip well below zero. On top of that, it’s the darkest month, with a lot of cloud cover and not much daylight either. Keep in mind that there is also a good chance of snow. If hot chocolate, ice skating, and a Lights Festival are your cup of tea, then Amsterdam is the place for you to be. Each year, a big Christmas tree is placed in Dam square. It is the symbol of all festive activities taking place in the city throughout the month of December. 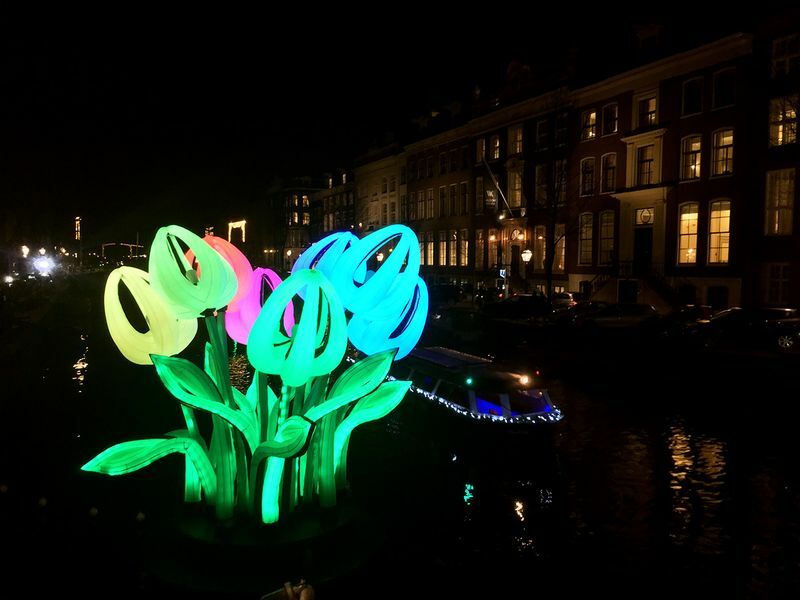 The entire city is decorated with lights during the Amsterdam Light Festival. That includes the canals in the center of the city. For an extra romantic activity, you can enjoy a canal cruise. If you need to burn off those calories after tasting all the goodies on offer, the ice-skating rink in front of the Rijksmuseum is open until early February! While the temperatures are not that low, it may be quite windy, so it feels much colder. It may rain but unlike the other destinations on this list, the chances of snow are unlikely. 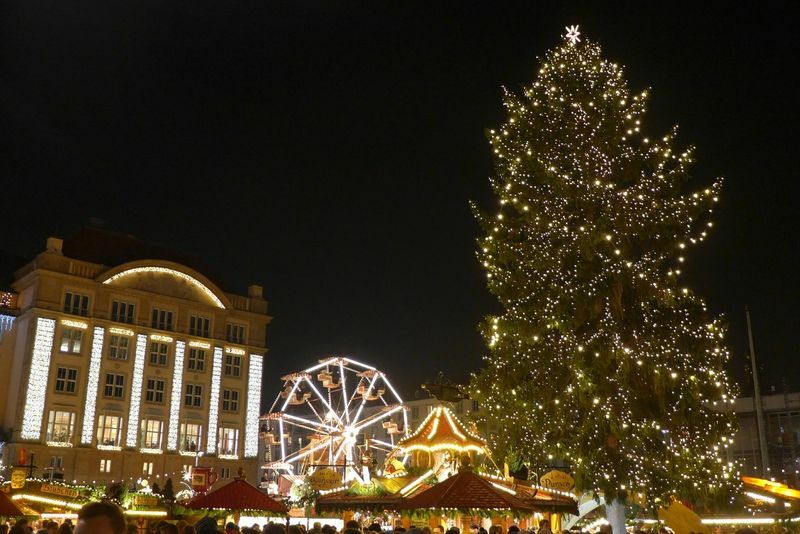 Have yet to experience a magical Christmas Market in Europe? Why not combine one with an amazing country tour in one of the charming European cities listed above? Cris is a contributing writer at Tripaneer. She is a travel and lifestyle blogger who is forever in love with Greece. She also happens to be a budget traveler who is passionate about helping others to book affordable and memorable trips. Sign up for the Tripaneer newsletter and get the latest news about exciting destinations and inspirational stories into your mailbox!